Cheers Seth, I would never had guessed that was a current Ford colour, looks good. I've got a part built Tamiya Skyline KPGC10 somewhere, but here's the only accessible model I have at the moment. 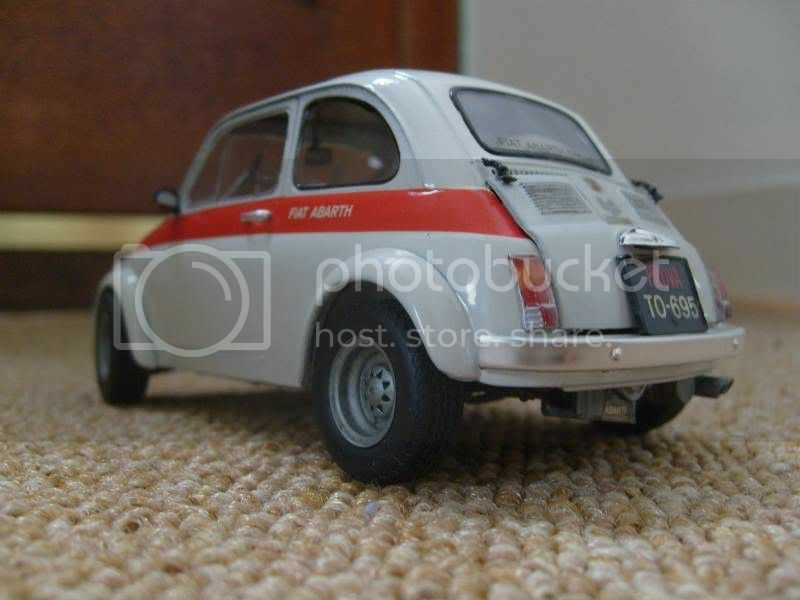 Tamiya Fiat 595 SS, built about 7 or 8 years ago now! A few scans of badly photographed stuff from years ago. Lastly, some assorted stuff on a shelf. Nice! Is that a Lancia Aprilia on the left? Excellent thread people, really enjoying reading it. Question for you all, I've got an airfix Ha viva to build as replica of Jo's car but need some 1/32 scale american racing 5 spokes . Any ideas?? Great skills in building these, I have loads of unbuilt rally cars. 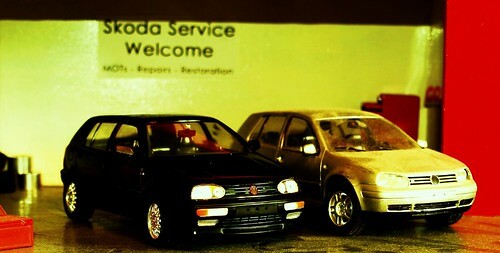 The last mod I did was a herpa diecast Polo 6n. 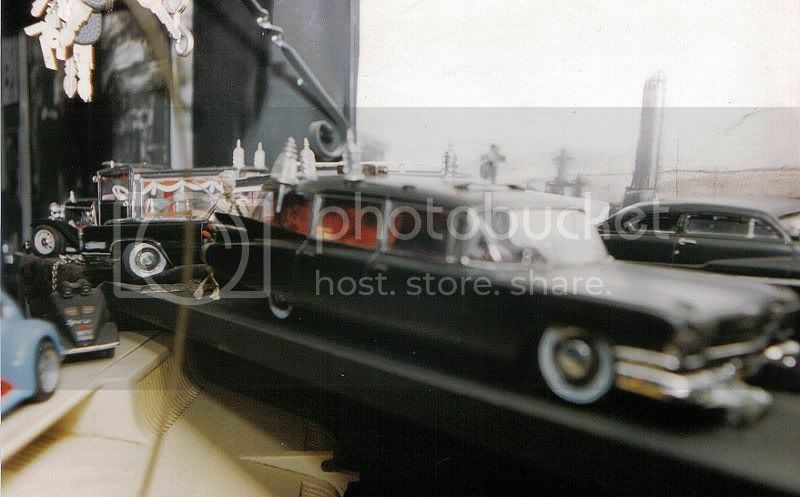 i spotted a set of 20" chrome wheels in 24th scale on the bay recently. i hope i get a couple of rainy days off next month! 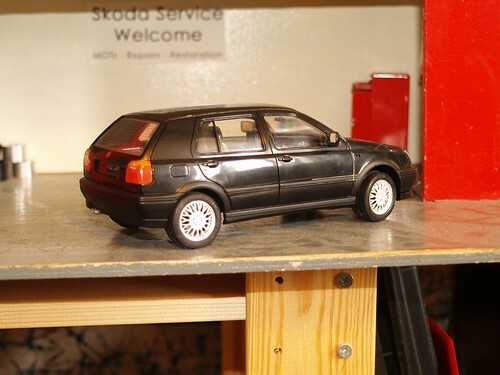 It is indeed a Lancia Aprilia, think it was/is a Brumm diecast. 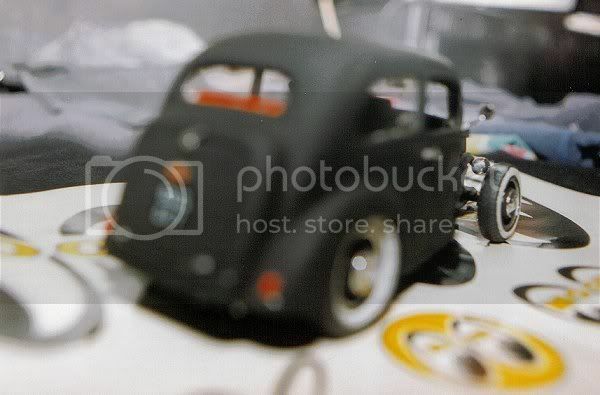 Diff- You could try investigating the slot car side of things as 1/32 scale is close (ish) to the 1/36 scale they are usually modelled in. Yay! 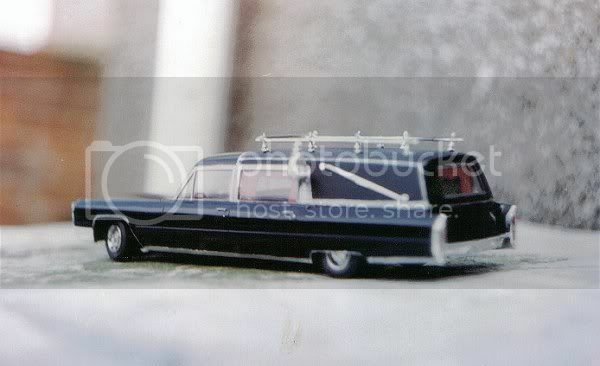 Nice oddball choice for a customised scale model, what did you do to it? I’m a sucker for the accessory wheels. Whether you want big diameter VIP-type wheels or period Street Fins, Work Equips or whatever chances are you’ll find them. They may do wheels in other scales, I’ve never investigated. Sometimes though it’s better value to buy a kit just for its wheels, once you’ve sussed what they are. Had no time for the plastic stuff over the weekend as 1:1 cars and eBay sales took priority, should get more done again later this week. Here is my latest. 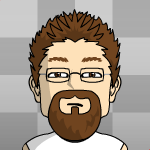 Its completely OOB. Some errors, but I'm happy with it. 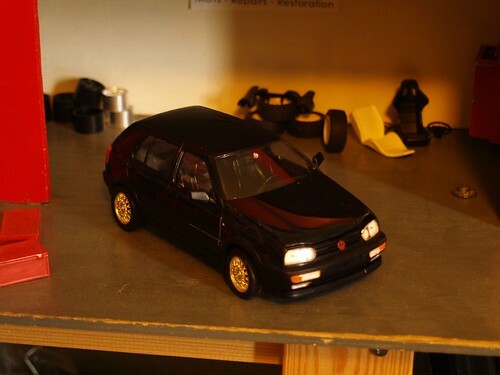 Here it is next to a Golf I made about 6 yrs ago. I detailed the interior, lowered it, and fitted some slightly wider steel style wheels. Finished off with a coat of satin black. Still got all these models stored away at my parent's house. Is it the Fujimi kit? yeah yeah. VR6. very impressed with the kit. I didn't even paint it because I liked how it was out of the box. Made some errors but overall quite pleased. Put decals and spoiler on it this afternoon. Nice vr6. Is there anywhere in the uk I can get that as I don't have paypal? I'm not sure. I got mine over eBay. Buy some accessory wheels from the same place, job done! If I wanted to change the wheels would I just buy some off that site and they'd fit? Do they all just "fit" or are modifications required? clicking on those links cost me £20! Ha ha! They’re a really good seller, free carriage over £50 and a discount scheme too. 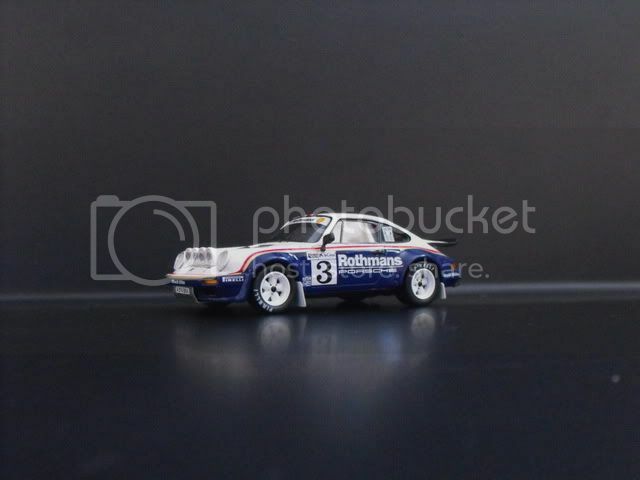 About the wheel fitment thing, I suspect the Tamiya 911 will be quite faithful with how they’ve modelled the suspension etc. 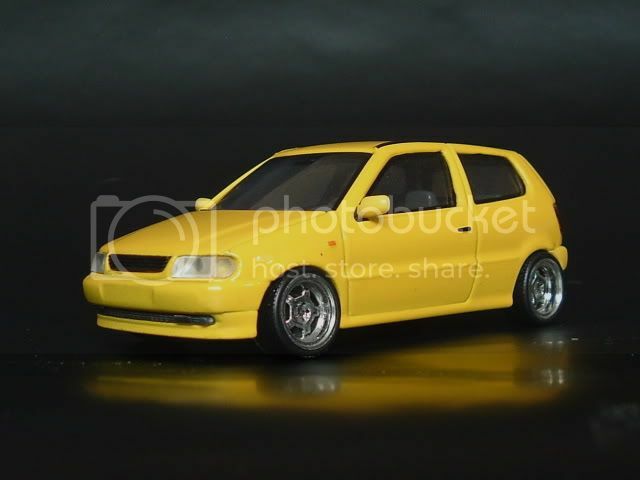 Also, with Tamiya wheels they usually have at least one pair as a male fitting, ie. there is a pin either in the wheel or moulded to it which pushes into a rubber bush in the hub/brake assembly. Certainly how it is with the Tamiya Skyline GT-R, BMW 635 etc that I’ve built. The accessory wheels are usually female fitting, so they need a pin or axle coming out from the car to push onto. My thought is that you could drill out the hub and push a pin or length of 2mm rod out from the back of that for the wheel to push onto – that’s what I did on the front of the R30 Skyline. I imagine you could do similar to the back end?